UPDATE:We now have confirmation by grading permits issued this month that mall construction has begun! Does the sudden apperance of this construction equipment across from Kaonoulu at the Pi’ilani Highway indicate the initial step of what has become know as the Giganta Mall mauka of our highway? The principals from Eclipse Development Group http://eclipsedevelopmentgroup.com/ of Irvine California were quoted in the Maui News stating they did not discuss their 68 acre development, with a projected opening in 2014, with the Kihei community, but were sure they would like it. Extending more the 3/4 of a mile along the highway, the 700,000 square foot commercial project with two “anchor” big box stores, would be the largest mall in the State. What did MECO tell all the Community Associations last Thursday? “Tree” legislation has first hearing on Tuesday. i hope they break ground real soon and start building this mall. At least its being built on the other, mauka, side of the highway. And we might get the Kihei to Upcountry road built. This is pure sprawl. The County Council dumped Smart Growth in the garbage to pander to $$ now. You think this is being built for us? Eclipse’s brochure ( http://eclipsedevelopmentgroup.com/siteplans/Maui%20Leasing%20Brochure5.13.11.pdf ) says “other upscale resort areas makes Maui Outlets accessible to nearly three million affluent visitors annually whose average length of stay exceeds nine days”. They plan this to become “the shopping focal point of the island”, which means they expect people to drive here from the entire island to shop and work. “With more than three quarters of a mile of frontage along one of Maui’s busiest highways, the site sees roughly 38,000 cars per day. This figure is expected to double once the expansion of Upcountry Road is completed.” Piilani Highway will become the focal traffic jam of the island, each day, every day. Thank you Maui County Council! 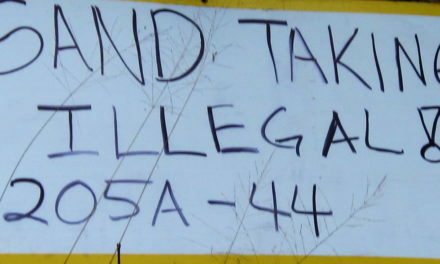 The Kihei-Upcountry road is not even on the State DOT’s STIP through 2014. The proposed road has three phases from Kaonoulu in N Kihei to the Haleakala Hwy at Hailemaile, and not even the first phase is projected for building this decade. Calling a traffic-signal lighted enterance to the center of this huge retail business the start of that highway is disingenuous at best. Once again it seems that greed will triumph over Smart Growth. I’m feeling helpless about this. At the KCA meeting Tuesday the idea was brought up of a letter writing campaign to let the County and/or the developer know how the South Maui Community feels about this. It seems like the developer and their local rep have a real “We don’t care, we don’t have to” attitude. If the County is afraid to sue to enforce the zoning rules and the developer doesn’t give a crap, would any kind of campaign fall on ears that hear? So sad. And yet we’ll all be shopping there when it’s built. What are we gonna do? Drive to Kahului to shop in protest? Can we at least insist on a new traffic study and the promised frontage road? What to do next? Have a cocktail or go to the beach. Can’t decide. Either way, apathy is setting in. Oh, and sorry Iao Aquifer. We’ll be taking the rest of your delicious but poorly piped water for tropicalizing the desert. a fantastic meeting the other night about this. so exciting to see people fired up over this issue, which has troubled me for more than a year now. we live in a collective, and we vote in people who SHOULD represent the majority of us. if someone is wealthy enough to buy and sell a piece of land that size, it doesn’t mean they have the community’s interest at heart. and it DOES impact all of us. there are too many of us here on this blue marble, this beautiful planet, to give people free passes just because they have the money/opportunity, come what may, beauty, land, community be damned! i believe in growth and development, but smartly done and with a community’s and land’s needs in mind. this one is definitely NOT smart. thanks to the KCA for the meeting and all your hard work. Why does urban sprawl have to take over every piece of land. Are we really so lazy we can’t drive to Kahului to go to the store. People complain about the water usage of sugar cane, just wait until the sugar cane is replaced by buildings, not only do they use water(for landscaping and other uses), but they use electricity and create a lot of rubbish and polution as well. Also a lot of traffic congestion for the area. We could use more info on this. Be good to get input from the whole island, as well as Kihei on what’s wanted and needed. Type in Eclipse Mall and Promenade to what what the project actually looks like. This is a blantant slap in the face for the people living in Kihei and Wailea. We are overlooking the main problem which is our poorly designed roads and lights. We’ve been screaming about the “scenic roller coaster” road into Kihei, fixing roads with our tax dollars and doing shodding work which the drivers bare the brunt of it. Flooding everytime it rains because of poor drainage. Same problems but nothing gets fixed. We have shopping centers with many vacancies because the economy is so bad. We’re regulated to death so small business cannot open shop, our schools are in dire need of money and we definitely need a high school so that our tax dollars are not wasted on bussing them to the public schools in Kahului. Where are our representatives on these matters? How did it get passed? How unfortunate that our Maui Council can approve of this for the tourist but fail to fill the needs of the residents. This is not about jobs for us because as we have all experience, Lowe’s and Home Depot’s services or rather skeleton crew mode. I’d rather shop at Ace or Marmac where help is plentiful and friendly. ay. We need to vote them out this November and let them know that we are not happy when they try to sell us a bill of goods that isn’t working. Their selling points are falling on deaf ears and fail to get public opinion. We don’t want it and don’t need it. Fix Government, we’re done with this one party system. Make this island business friendly and the rest will work out. Half the problems are govt making so much laws and regulations they can’t enforec them. Take care of the local residents after all when things go really go bad where will the tourists be? Seems the planning department and commission could use more community input or oversight,pressure. They approved the yet to be built 6 story building right next to Kanaha wetlands and the large ramp being built on Kamaole 3 beach,dunes. Congestion, delays, increased accidents, increased fire & police response times, increased vehicle emissions, increased cut through traffic on residential streets—this is what Kihei has to look forward to when this project is completed. I am a soon-to-be resident of Kihei and a licensed traffic engineer with many years of experience reviewing development projects and their traffic studies. A development project this size will create a traffic nightmare for Kihei. The 700,000 sq. ft shopping center will add more than 20,000 vehicles per day on the surrounding roadways including adding about 16,000 vehicles on Pi’ilani Highway north of Kaonoulu Street. This is about a 50% increase in the amount of traffic on this highway now, according to recent HDOT data. Pi’ilani Highway simply cannot accommodate this much traffic as it is currently on the brink of failure (operating at level of service E as traffic engineers call it) and this added traffic will cause it to fail (operate at level of service F which is “stop and go” conditions). More congestion on Pi’ilani Highway will also make it more difficult for vehicles on the side streets to enter Pi’ilani Hwy. Traffic signals will have to be installed (at tax payer expense) and these signals would reduce the amount of traffic Pi’ilani Highway can accommodate even more. Yet the developer does not have to provide an updated traffic study; the developer does not have to reveal the project’s impacts to the public; and, the developer does not have to mitigate these impacts. Development projects such as this will spoil Hawaii’s natural treasure that is Maui. Let us rally together to prevent this from happening. Pi’ilani Highway is currently operating at capacity and cannot handle more traffic, according to a consultant study (Fehr and Peers) completed for Maui County in 2007. The shopping center would increase traffic on Pi’ilani highway by about 50%, causing serious congestion. Additionally, there are other planned development projects in the vicinity that will be constructed in the near future, and they will only exacerbate traffic congestion on Pi’ilani Highway. Drivers will become frustrated because of the long lines they will have to wait in to get through traffic signals. Some drivers will try to cut through neighborhoods on local residential streets. Emergency vehicles will have a difficult time traversing the area. The potential for vehicle crashes would increase. Some visitors will become frustrated sitting in traffic and decide to visit other islands, and there will be a reduction in tourist related jobs on Maui. The land where the shopping center is being built is zoned for light industrial, which would generate far fewer vehicle trips than a shopping center. Zoning laws and other government laws need to be enforced, so that Los Angeles style congestion does not occur in Maui. Shopping centers and other large traffic generators need to be constructed in areas better suited to accommodate the traffic. i think its so funny how everyone is going retarded and jumping to conclusions just because they see construction equipment on the site which will soon be the outlet mall. does anyone even know the true reason why they are there? instead of tripping out and crying about it and being so dramatic that “oh my god the outlet mall is gonna be built” wahh wahh wahh. i should let you know that my uncle works for a construction company (not naming what company) and said that they are gonna begin work on the upcountry to kihei road and its not for the outlet mall, and i also seen the blueprints for it so everyone can relax stop stressing over nothing its sort of annoying and pathetic. I challange that assertion that this is for the Upcountry highway. Anyone can show blueprints. Does this mystery company have a contract from the State? No contract has been awarded to anyone. DOT estimates the first phase is ten years away. Eclipse Mall enterance at Kaonoulu from the Pi’ilani will be considered as the beginning on this highway, but it will go no further than the depth of the mall. Thus a road to nowhere except this commercial enterprise. FYI: All of the following information comes from public sources. A grading and grubbing permit was picked up at the County Office of Public Works earlier this month by the developer. According to Public Works this is a two phase project. The first phase will entail grading for the upcountry highway component of the project in addition to drainage and utility excavation. the proposed development in designs and schedules accepted by the State Department of Transportation and the County of Maui. Petitioner shall provide traffic signals at the intersection of Piilani Highway and Kaonoulu Street, and shall submit a warrant study in coordination with the Department of Transportation. The last sentence in the section above is likely the genesis for why the developer plans to build one component of the anticipated upcountry road in their project. When and if the rest of the upcountry road is ever built is a question yet to be answer. thanks kaniela for the much needed information. After learning more details on the history, I must apologize for blaming the Maui County Council for this sprawl development — the zoning they approved was for M-1 Light Industry. It is the County administration and Planning Commission who approved retail development in this property. Does this constitute a failure to enforce the law? Such “industrial parks” are also part of sprawl by segregating work from housing, but in this case, if it meant allowing Kihei residents to work in Kihei instead of commuting to Kahului, it could reduce traffic. Now, even if it were a retail facility, if the businesses were chosen to make Kihei more self-sufficient so that people could skip Kahului, and it didn’t draw the rest of the island to Kihei, it could conceivably reduce traffic. But that is not the ambition of the developers. All rezoning approvals should be predicated on the condition that the development reduce traffic by short-circuiting the need to travel. “Transportation is what you do when you are not where you want to be” (Richard Register) All new construction should be aimed at making all the places a person would want to be close together — within walking distance if possible. It needs to be compulsory in zoning, because developers like the Outlet Mall have other agendas. Victor Gruen, an Austrian immigrant better known as the father of the shopping mall, envisioned a mall as a place that would bring people together in a community by providing a meeting place that American towns lacked. They would come together to shop, eat and socialize. In essence, he tried to correct the mistakes of existing downtowns that failed to plan for an atmosphere of leisure, excitement and intimacy. To achieve this, he planned works of art, decorative lighting, fountains, plants and flowers. He wanted government offices, such as a post office, a grocery store, and even such things as a small zoo. He envisioned a mix of retail and services, shops and office, and places to relax and socialize. When Victor Gruen revisited one of his old shopping centers, and saw all of the sprawling development around it, it is said that he went into “severe emotional shock”. He said that malls had been disfigured by “the ugliness and discomfort of the land-wasting seas of parking” around them. For Gruen, shopping centers had become nothing more than “gigantic shopping machines”. When Gruen returned to Vienna, he was shocked to find a huge shopping center nearby his beloved town. And it was putting the independent shopkeepers out of business. The net effect of the shopping center was crushing the life of Gruen’s city. Most shopping centers today are essentially endless rows of retail stores. The rent structure makes it well-nigh impossible to offer anything like what Gruen originally envisioned. I am saddened by the proposed developments that seem to promote the mistakes of the past 50 years, and offer nothing fresh to Kihei but more traffic, more congestion, more “same ol’, same ol'”. We are making Maui more like any typical mainland town, devoid of heart and soul. Is it too late to envisions our future together? A grading and grubbing permit was issued by the Maui County of Public Works on April 11, 2012 for the extension of Kaonoulu Road on the mauka side of Pi’ilani Highway. The first phase will entail grading for the upcountry highway component of the shopping center project in addition to drainage and utility excavation. A second grading and grubbing permit was issued by Public Works on April 18, 2012. This permit allows for the overall grading for the shopping malls. How Sad. Vog, Maui snow,Gridlock on many roads this past visitor season. What can be done about this ? Is it too late for us to change it ? We need leaders who want to make Maui more special,beautiful like paradise not a giant commercial mess that will kill even more local business and turn off our visitors ! So Sad. Let’s take a stand for what would give our island, and Kihei, a definitive character and draw if we are going to be subject to big projects. Here’s pertinent info and three proposals that could possibly propel pause, renegotiate the type of project, or stop the Eclipse project. Eclipse Devt at Kaonulu could fit in the exemptions part of SB2927 bill particularly if we don’t take a stand. The bill is moving through the state legislative session as we speak –. Personally, I believe this bill should either be killed or rewritten on the “exemptions of exceptional projects”. Any chance of negotiating a change to the Eclipse Project site can be overridden if there is not something written in that bill that allows for transparency and public comment. I’m not against worthy large projects that reflect the unique character of our islands, Kihei and reflect Maui’s character overall. However, I believe the “biggest shopping mall in Hawaii” on central prime “exceptional based land” sends the wrong message of who and what we are about as an island and how we want to promote and extend ourselves. Imagine what a different feel it would be to have a Polynesian Cultural Center of Maui central on this kind of prime land at the heart of our island, something we could be proud of, bringing the best and magic of both the Polynesian Cultures and showcases the song and dance and cultures specific to Maui of the Chinese, Japanese, Portuguese, Filipinos, and indigenous Hawaiians. Remember the day experience and pageant of the canoes at the PCC on Oahu! Only — Maui No Ka Oi! Something like this type of project puts our island people to work from all over the island in prime location, and adds to, rather than takes away local businesses and how we feel about our island. If this kind of experience can’t be on the prime land at Kaonulu area, let’s find a place–Maui Lu– OR developers take note, a project such as this that gives Kihei definition and character, is not meant for us alone, but shares the feeling of true Aloha to those who touch into the unique aspect of Maui that we are. 1. Read and testify on the SB 2927 bill SO THAT PUBLIC TRANSPARENCY AND INPUT IS NOT EXEMPTED ON EXCEPTIONAL PROJECTS. NOTE This part of the bill 46-G County incentives: exemptions. 2. How about a KCA Sign-wave in front of the Kaonulu site “what type of project we want,” not what we don’t want? Consider on a sign what your vision is that would give Kihei a unique character, that would inspire, share its heart and intelligence, beauty, respect for one another, the aina and its culture. If you are very very inspired to email certain ones, suggest particularly contacting rep. Senator Baker (our Senator ), George Fontaine (House rep) McElvey and Agran, as well as the mayor. Having lived in Kihei for over 20 years and seeing how its evolved and grown this seems to a perfect project for the future of Kihei.Theres so many strip malls already, the Safeway area and the shopping center planned below it next to the Azeka wetland are further developments that make this area like the mainland already. The giant ramp along the beach at Kamaole 3 would only be found, allowed in Kihei. Its not like this development would profoundly change the character of Kihei and it would give our kids a place to hang out. to be honest i think that they should have the right to built what they want i mean the company bought the land and got all permits in place and did everything by the book so why can’t they build? just cause you don’t want it? i mean how would you feel if you bought a piece of land and wanted to build your dream home on it but the people around you didn’t like the look or style of it and went against you to the point where you couldn’t do anything on your own land? i have a strong feeling that once this project is built all of the people that were against it will eventually shop there cause i highly doubt that you will drive past it to shop at kaahumanu when there is a better mall right up the street right? The developer did not do everything by the book. The site was entitled as an industrial park, not as a shopping center. A shopping center this size generates FOUR to FIVE times the amount of traffic as an industrial park. who cares lady, traffic is gonna come sooner or later. don’t you think when they build the high school on that side of the highway that it to will cause “traffic” and what are you gonna do try and stop it too? what about when they start building more homes on that side of the highway are you gonna try and stop it cause of more traffic? everything that gets built causes more cars to come into that area. your reasons for it not to be built is straight up bs seriously. I sent my letter below to facebook, the mayor, the newspapers, and will attend the community meetings to add my support in stopping this horrific defiling of our natural environment… I don’t want to live in cement and lose our small businesses any more than we have…. Greed is planting cement where trees, grass, and children need to thrive. Must development suffocate every blade of grass, the land, environment, and ourselves? Everywhere I turn in Kihei, open fields are being cleared, another shopping mall being planned or built. Greed is morphing us into Los Angeles and Miami strip mall look-a-likes. Shopping local doesn’t mean shopping at Wal-Mart or Costco. Shopping local is to support our independent business owners who unfortunately are being closed out, leaving empty spaces in their lives and empty real estate that drain the local economy, and increase unemployment. Development needs to be inspired by the environment and the desires of the community, become one with it, not wipe it out. Monkey Pod trees in danger of removal because the roots are cracking the sidewalk. Let the trees be, elevate a walkway over the sidewalk that has sloping ramps for walkers, strollers, and wheelchairs. Monsanto is planting GMO corn, where organic farms can grow. We need to take back our agricultural land and utilize ALL our environmental resources – wind, sun, ocean, multiclimates – to create sustainability that is possible here and now, and become less dependent on costly imports. This will create jobs and improve our own economy. It appears our present decision makers have another agenda in mind. An agenda that doesn’t include Maui, its expert environmentalists, its citizens, its beauty, its trees, and the impact on its longevity. My recommendation: Maybe we need to swiftly remove these myopic officials and developers from their positions since they don’t fit into the design plans of nature. People dream of Hawaii, save their hard earned money to fulfill a fantasy, only to arrive at Costco and its ilk. Soon they will stop coming, because Hawaii’s serene natural beauty will have disappeared into cement. Start thinking NOW about the future…the future of Hawaii, its natural survival, and that of its residents, both local and off-island owners. It’s not enough to complain about what’s happening or what’s already happened when you weren’t looking, while sitting in your living room, whispering to your neighbor, or ignoring your Hawaii home when you return to the mainland. Each resident, on and off island, and each community must speak out. Talk to everyone you know. Send a representative to every meeting. Send out and sign petitions. Contact an organization that is working to save Kihei and Maui. Write an editorial and/or an article and run it in every newspaper. Each voice must be heard. Malls like this are drug dealer paradise! Where do you think all the kids at the HS will hang out? I predict Mall-gang-drug culture will be their HS experience. How many kids will ditch to hang? How many liquor stores will be biult there? The shops, streets and stores in Kihei will become shabby and go broke. infrastructure of Kihwi will continue to deteriorate. If it doesn’t put money in a politicians or his cousins pocket, it don’t get done! I love Maui. My husband and I wanted to purchase a vac. condo there. After reading and learning about this Super Mall, it could very well be a deal breaker. It demolishes the beauty of the land and not to mention, traffic, traffic and more traffic. It will take away the income from the smaller local stores/restaurants. It’s just another cookie cutter mall you can find anywhere. People come to Hawaii to relax, not just have more of the same smog, and frustration. Big Mistake. I am seriously needing to rethink investing there now.Not fair to the local residents at all. Great to see this project going after so many years of hearing about it. There wasn’t anything pretty about that area before. This will mean less trips to Kahului, jobs and more choices for everyone much closer to residents of Kihei. It will be a traffic nightmare!!! Appears to be the planning team in addition to commission rate are able to use far more group suggestions or maybe oversight, demand. 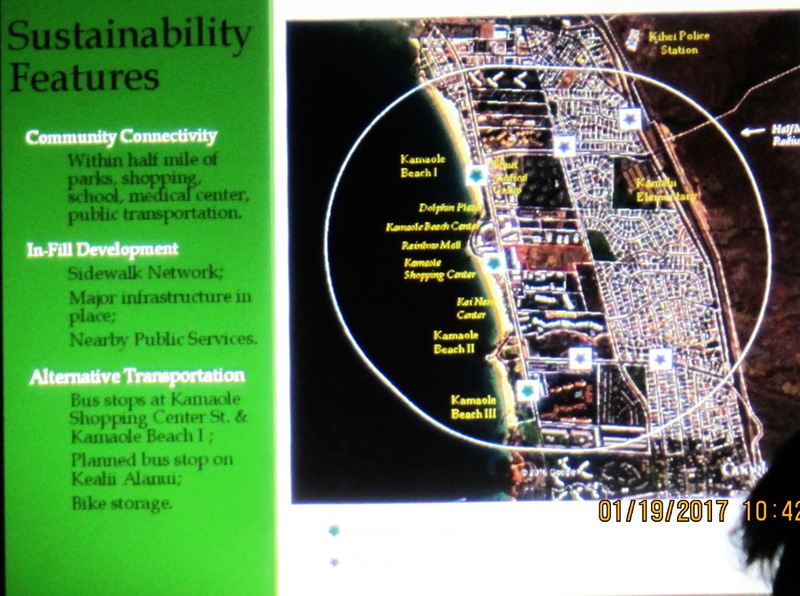 Many people okayed this still for being designed 6 report developing suitable near to Kanaha wetlands along with the substantial ramp currently being designed with Kamaole 3 beachfront, dunes. We could use more info on this. Be good to get input from the whole island, as well as Kihei on what s wanted and needed. Type in Eclipse Mall and Promenade to what what the project actually looks like. Something like this type of project puts our island people to work from all over the island in prime location, and adds to, rather than takes away local businesses and how we feel about our island. If this kind of experience can t be on the prime land at Kaonulu area, let s find a place Maui Lu OR developers take note, a project such as this that gives Kihei definition and character, is not meant for us alone, but shares the feeling of true Aloha to those who touch into the unique aspect of Maui that we are.